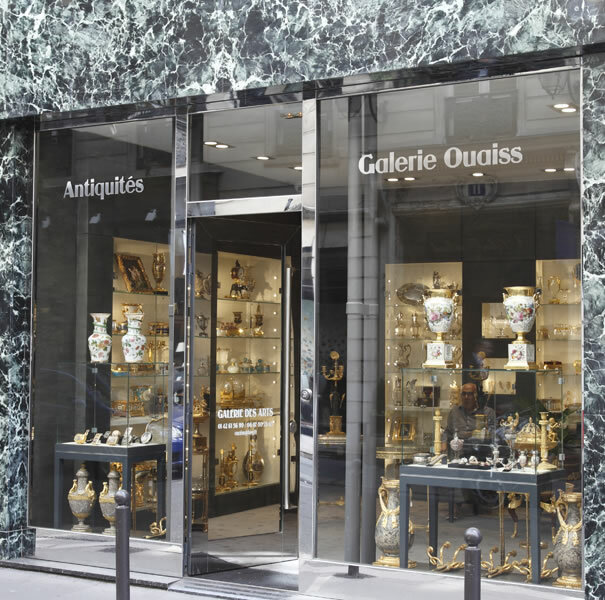 After over 30 years in the Louvre des Antiquaires near the Louvre museum in Paris, the Ouaiss Antiquités gallery, well-known to museums and collectors alike, expanded in 2014. They moved to Paris’ 8th arrondissement, not far from the presidential Élysée Palace, onto Miromesnil street, a historical street dating back to the 18th century and is today at the heart of Paris’ antiques vendors. The Ouaiss Antiquités gallery is a necessary visit for any collectors of antique snuff boxes and collector’s items originating in France or Europe from the 18th to the 20th centuries. They have collected a sumptuous and rare collection of snuff and gold boxes decorated with precious stones, enamel, and micromosaics. This new location also displays numerous other works of art for collections or curiosity: opalines and crystal from the Charles X period, splendid novelty pieces in Vienese enamel, ornate jewelry boxes, and a collection of decorative pieces in silver and gilt bronze. It is in this location that Mr. and Mrs. Ouaiss have the pleasure of helping you discover their collection and sharing their favorite objects with you.